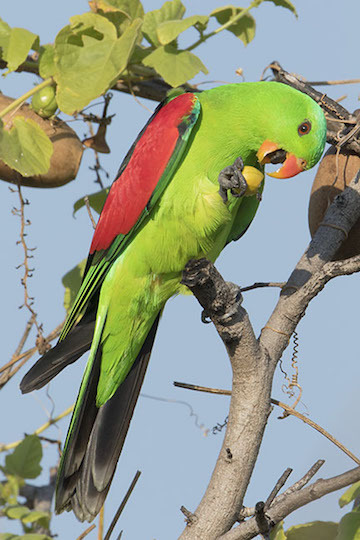 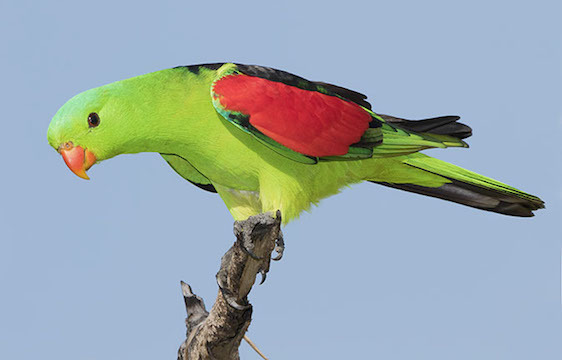 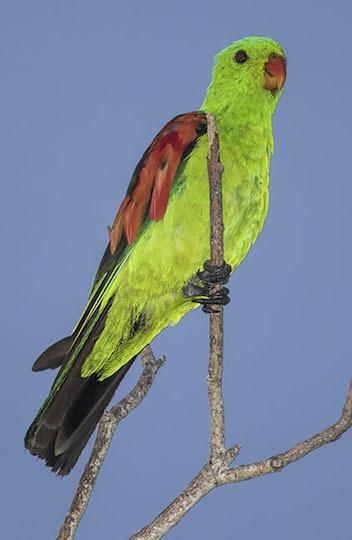 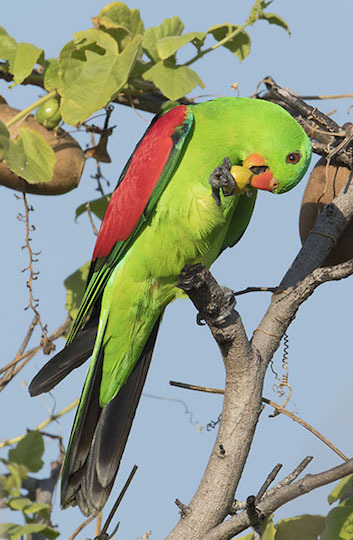 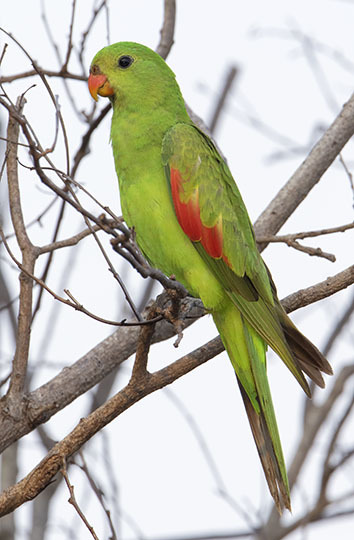 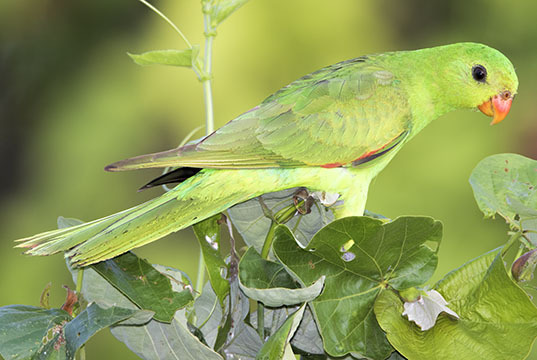 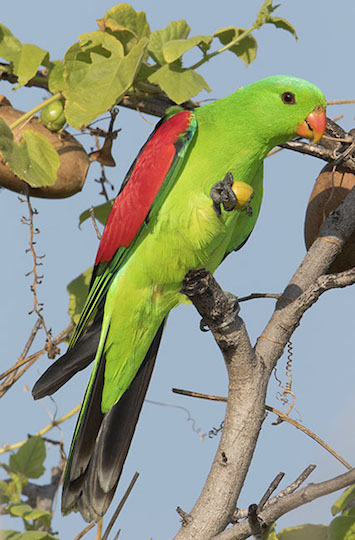 The male red-winged parrot of northern Australia is a brilliantly colored standout, even among that continent's very diverse parrot species. 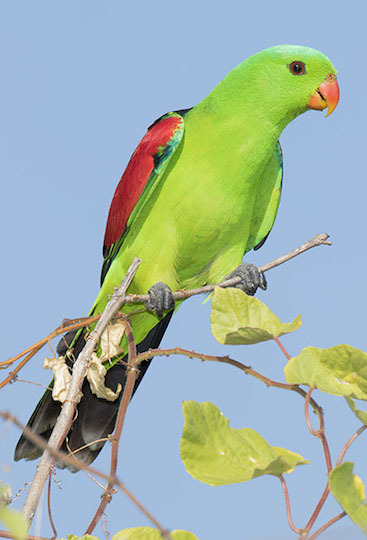 Females lack the red "shoulders" and black back of the male, but are very attractive nonetheless. 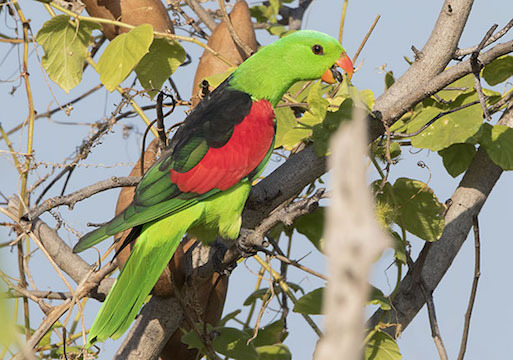 I took these photographs near Darwin, in the Northern Territory.